Recently, I was invited to Beijing 101 Hair Care Consultants for an interesting session to discuss more about their unique hair treatments. As someone who has always been blessed with a lot of hair (both sides of my family have A TON of hair), it never occurred to me to care much about what I have. Sure, I get white hair once in awhile and I drop quite a lot on a daily basis - but I always joked that I have so much left, that lessening it might be a good thing. 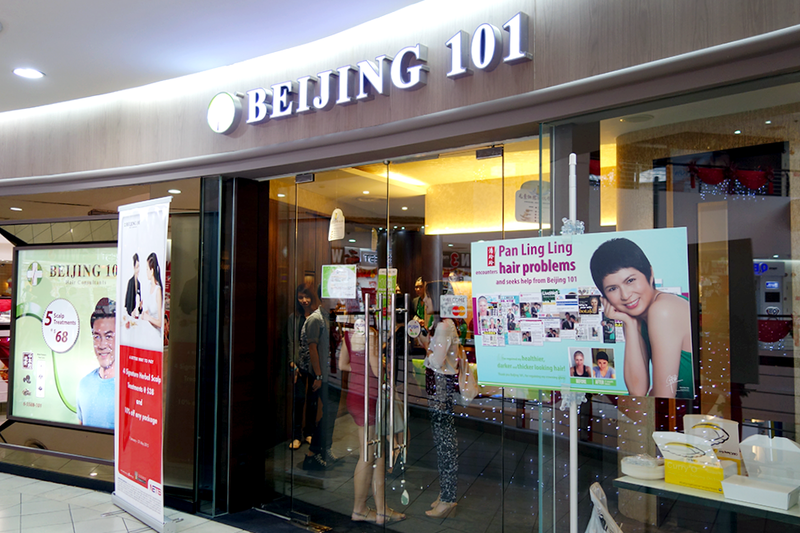 However, after having my own consultation and hearing what Beijing 101 has to say about hair care, I am very ready to take on a less blase position about my crowning glory - and perhaps this post will enlighten you about yours too! 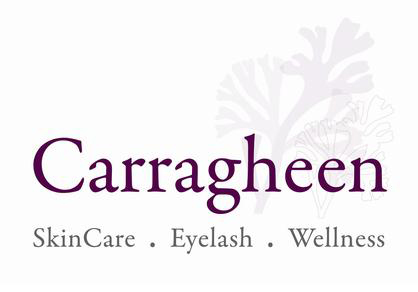 I've recently had the honor of getting a HydraOxygen facial done at Vedure Face, Body & Nail MediSpa; and when I say honor, I mean it! Located at Wheelock Place (the address speaks for itself, really), the MediSpa is chic, luxurious and relaxing all in one. 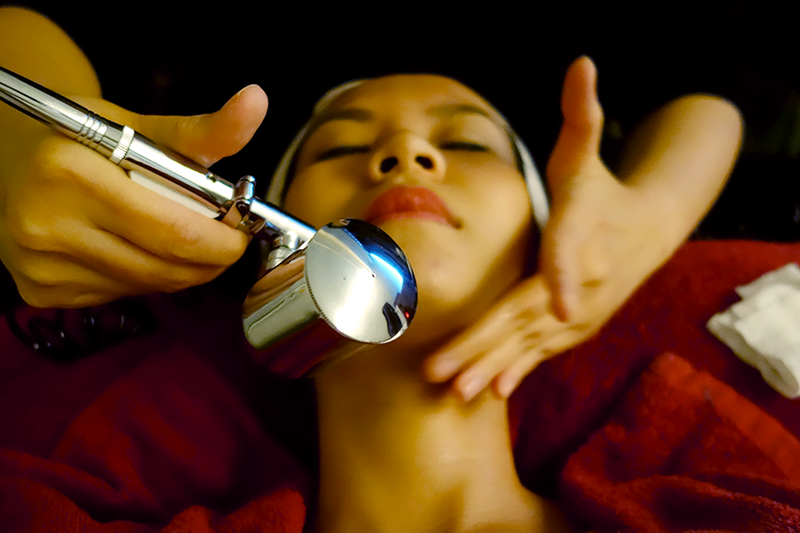 Speaking as someone who's been really stressed and busy lately, the invitation to try out one of their signature facials was heaven sent indeed: my comedones have been crying for extraction and my skin has been demanding for some pampering. 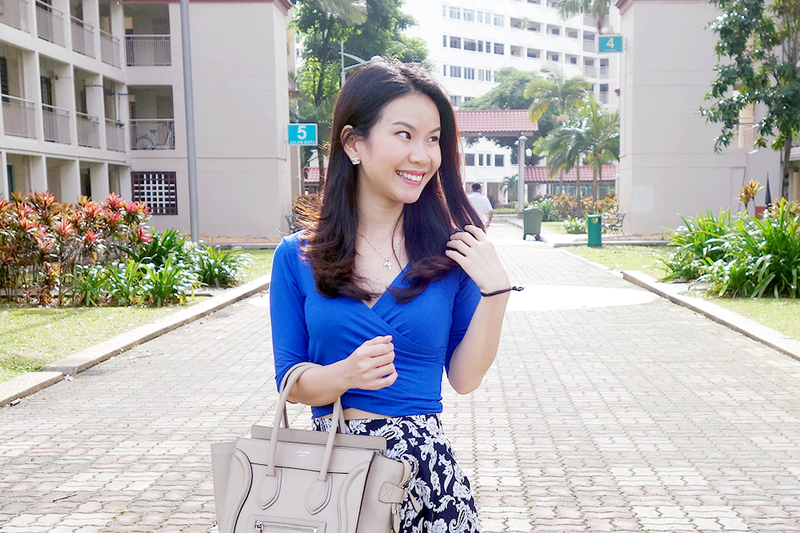 So off I went on a lovely Saturday, and here's what I've to say about it! More and more people are starting to deal with depression in their lives, especially during times like these where workplaces are highly stress inducing and lots of social pressure is flying about. As a blogger, it's easy for me to feel inadequate to many others who've made it big or basically doing much better in comparison. I believe many other people feel this way in their respective industries. The thing is, it's sometimes hard to know when someone is battling depression. People think it's easy to spot on the outside - someone must be cracking, crying, or sulking surely? Well, actually that's not true. People with depression can smile outside but are lonely and sad inside (read THIS if you'd like). So what can you do when someone you never expected to have depression, has it, and finally turns to you for support? Read on to find out. HEADS UP: There'll a few tons of F.R.I.E.N.D.S gifs through this post, some parts because I find them suiting and lightens the mood haha, but mostly because I just love the show.... by that I mean I love Chandler. When I say 'Listen' I think a lot of people are telling themselves, "Gee, that's simple!" Erm no, it's not. I did not disclose my depression to many people, but to those that I did... some actually liked to cut me halfway whilst I spoke and gave me their opinion on what could fix me/my issues. That's not what I wanted at all. I wanted to talk, I wanted someone to listen. The problem was that I FELT (because it's not necessarily true) that no one could hear me, and those people who talked over me only exacerbated that negative feeling. So really listen, let them speak. No matter how trivial their issue is (we all have stupid things that bug us right?) or how "easily solvable" their problem seems to be... let them speak. Hear them out, because one wrong thing you say could make the person clam up totally instead of opening up more. I read THIS article lately on the association of rats and drugs and how the reader felt that LOVE was more than enough to cover the distance between the person with depression and the person who cares. Yes, to a certain extent love is needed to WANT to make the other person feel okay, but loving is sometimes not enough. What these people feel sometimes is a disconnect more than lack of love. They could feel, yes my parents love me but they won't understand me. This is what I personally felt, which is why my parents never even knew of that dark period. So try to connect with the person going through depression, see what they'd like to do and maybe do it with them so they won't feel so alone. I think the key is to make them realize you're there for them but not in a sympathetic manner - they need to know you WANT to be there. Personally, my cousins would check in on me through messages even when we normally didn't text a lot. They would ask me out, distract me with other topics and what not. And during those times out, we never talked about my depression unless I brought it up on my end. They made me feel loved and cared for without actually reminding me of the issue. That was my "connect". I'm not saying you should do this ALL the time because naturally humans tend to take things (no matter how good they are) for granted if they always get their way. Once in awhile though, do something out of character or duty to make the depressed person feel cherished. My very close friend, who is basically a workaholic actually took leave one day to spend the day with me doing absolutely rubbish things like lying around, eating and joking. I never expected that person to, despite me asking for it (I anticipated a no) but he did. He did not make me feel bad about it, he did not constantly check his phone for work updates and he didn't message anyone else. He made sure I got the attention I needed and made me feel cherished. To me, that was a wake up call to stop the self pity and sympathy because it was a SPARK of realizing, "Someone does care! I am not alone!" You know the theme song for FRIENDS? Yeah, live it, haha. Be there for them. I don't mean it literally where your body is pasted against theirs, but be available. Yes, you might be busy sometimes and you have your own things to do, but setting aside a few moments to reply their SMS-es or calls will make them feel good too. Some people I know who battle depression actually are in that battle due to a lack of attention from friends or family, so when they do get it they can feel guilty for bothering someone but also feel happy they are talked to and noticed. 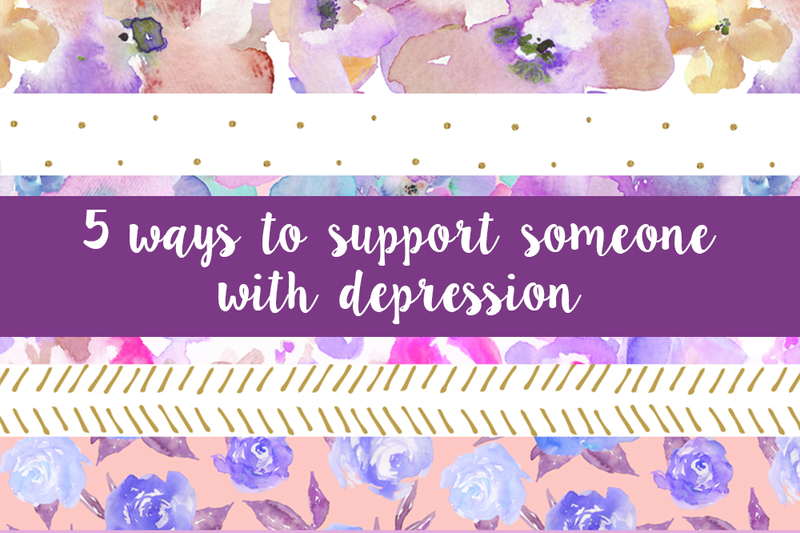 Their depression might take awhile to tide over, or it could be done with quickly; either way, if they know you're unconditionally caring, that is still a form of solace. Sometimes, what they actually need is therapy... There are different options like simple counselling/chatting to more serious medical counselling in hospitals/institutions. Of course, no one likes to be told they need therapy. People battling depression already feel lost, and being told they need "help" upfront makes them feel scared, intimidated, unwanted, or maybe all. Perhaps you can always approach it in a more casual manner, see how open they are to talking to someone else besides you. If all else fails, don't blame yourself. There are many types of depression. Some border on suicidal even and those closest to them may not be able to help at all. Don't beat yourself up or give up. That won't help you and it definitely won't help the person you're concerned about. Some depressed people tend to push others away or have their guards up so as to not get hurt, but this doesn't mean they don't deserve care all the same. Their barriers are there for a reason, so work with them through it. 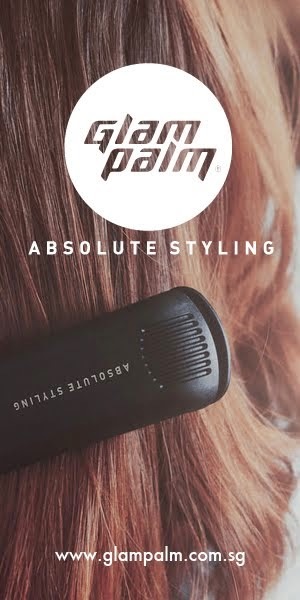 Smooth, Tame Tresses with GlamPalm Styler! For awhile, I've not been a fan of hair styling devices. 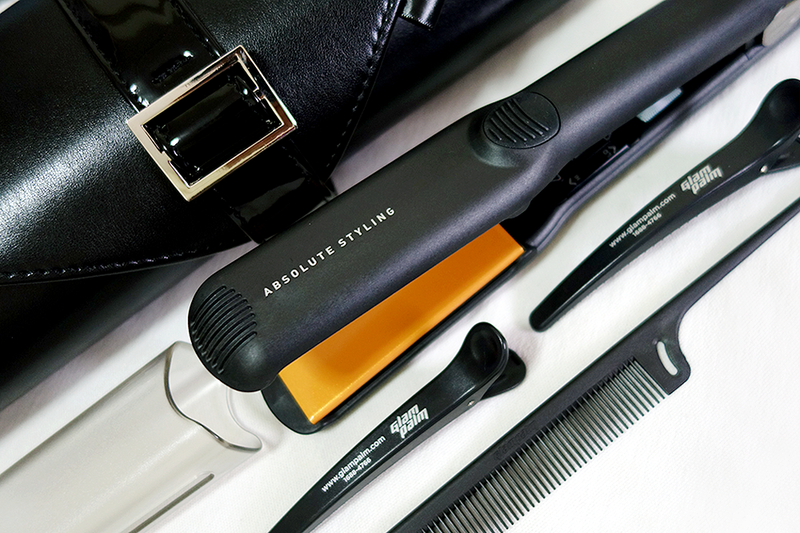 I actually do own a curling wand, but I stopped using it after awhile because my hair kept getting fried. Eeeps! I actually did use hair protecting sprays and oils once or twice but those didn't work too well either. Eventually, I opted for sanity and softer hair by doing a Volume Magic Rebonding at Dusol Beauty and told myself never to burn my hair again. However, I've been hearing things (GOOD THINGS) about GlamPalm, and most of them revolve around how using it actually gives them softer hair!? That was pretty hard to believe. I was also taken aback when these reviews also stated how the device could be used on hair directly without any protectant in between. So when I got sponsored the GlamPalm GP313 (mid size), I was both ecstatic and highly curious.